To the north of Shrewsbury lies ancient scrub lands, an old river bed and hills that for hundreds of years remained pastureland. Formed when the last glaciers retreated north through England, the ice age left an indelible mark cutting the natural flow of the river and leaving diverse deposits of glacial till on the bedrock. A very small number of settlements have resided on the brow of the hill for centuries and were first recorded in the Doomsday Book in 1086 as ‘hencot’ translating to mean a small tenement tending to chickens. In the years that followed hencot became hencote, a medieval term meaning “high on the hill”. Subsistence farming existed on the banks of the old river bed of the diverted (ox-bowed) river Severn where peasant farmers tended their cattle and coppiced wood supplies from fallen willow and alder trees in the wet woodlands. Basket weaving and fence making were early trades established on these historic lands. Thereafter for as long as people can remember the lands were turned over to sheep and cattle for grazing. Situated clause to ‘Battlefields’ the site of one of the most famous and decisive conflicts of their English civil war, what was once out in the country, today sits on the very edge of the thriving English market town of Shrewsbury. 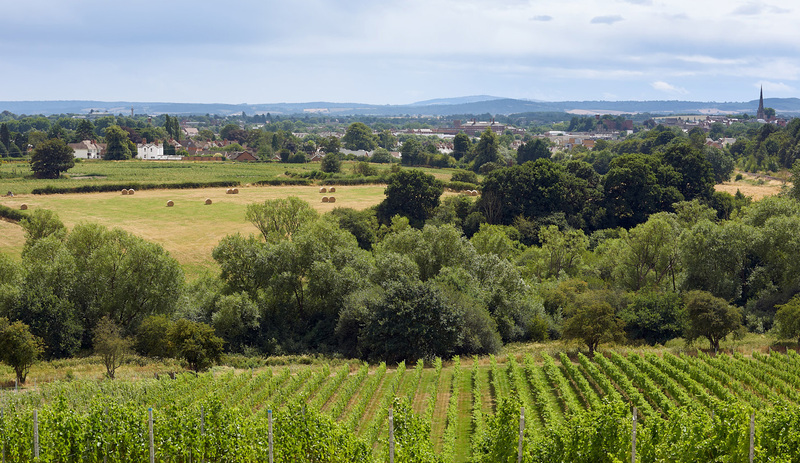 In 2009 the owners of a small private estate at Hencote planted a hobby vineyard comprising 160 vines. Within a few years this was producing surprisingly buoyant harvests of good quality grapes. 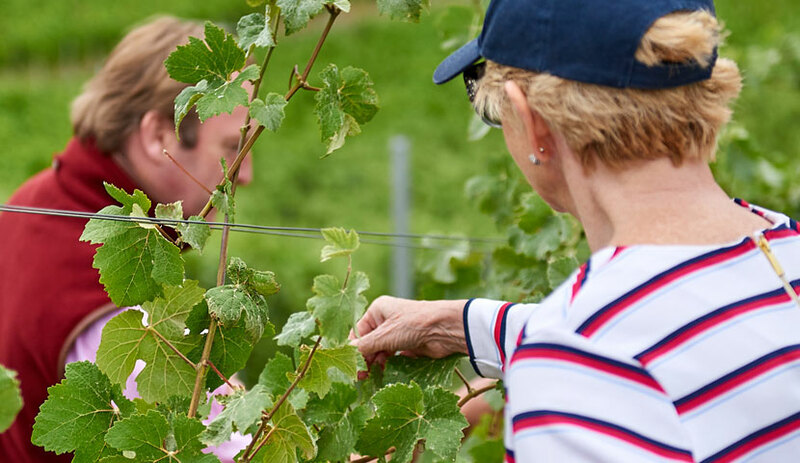 Despite a lack of encouragement and genuine skepticism from Viticulturists, a subsequent and exhaustive study revealed conducive growing conditions for establishing a viable vineyard. The owners passionately believed that the estate could be developed to support both a vineyard and also oeno-tourism. This vision has inspired the development of the estate today. By 2015 a new vineyard of 24,000 vines had been planted. Earlier this year the winery building was completed and a new restaurant and wine and cocktail bar opened. A new glamping village was also opened and a brand new road linking the estate to main vehicular routes was established. 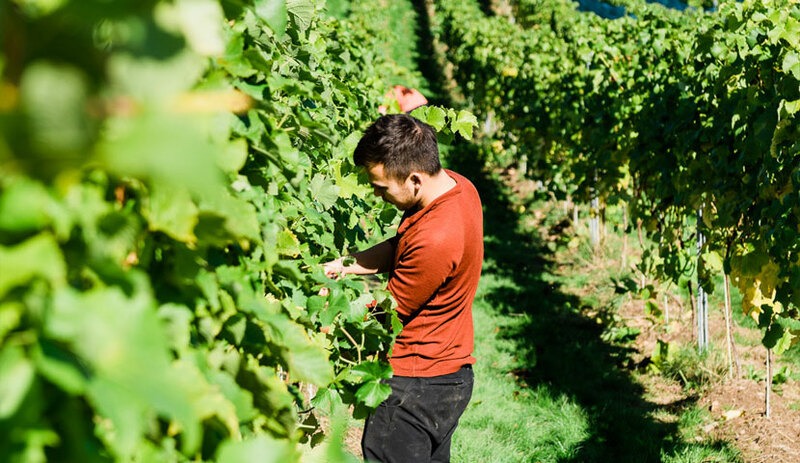 Now people have the opportunity to visit a genuine English wine estate, view the ancient wet woodlands, stroll through the vineyard, visit the winery operation, taste the locally produced wines, dine in a new restaurant, stay over in a beautifully restored Georgian hay barn or in any of 10 thoughtfully appointed luxury glamping lodges. An insistence on authenticity and a keen eye for detail has driven the creation of this unique English experience; Hencote is now a destination with national appeal. 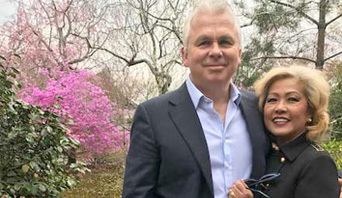 Andy and Dora are the owners of Hencote. They have travelled and lived around the world in diverse places such as Hong Kong, Uganda and Qatar, before settling at Hencote in 1997. Andy and Dora have lovingly redeveloped the land into the estate today- look out during your stay at the Grange for Hencote fresh produce and conserves, all produced by Dora from Hencote’s fruit and vegetable garden. Mark is the General Manager of the Hencote Estate and Vineyard. 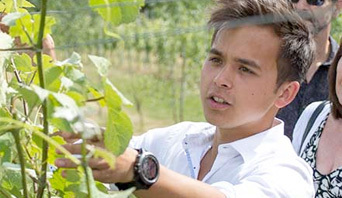 He studied at University of Warwick and after a brief foray into law, his passion for viticulture took over. 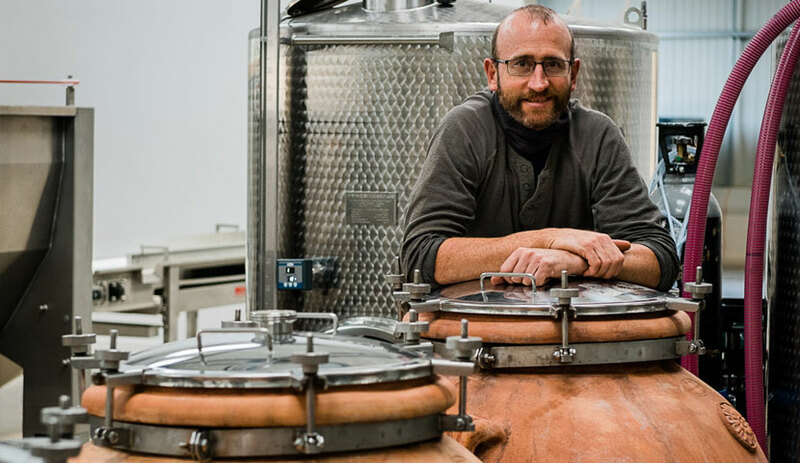 He leads all Vineyard tours and Wine Tasting events, and studies part-time at Plumpton Wine College in East Sussex. Vivienne manages the Hencote Events and Social Media. 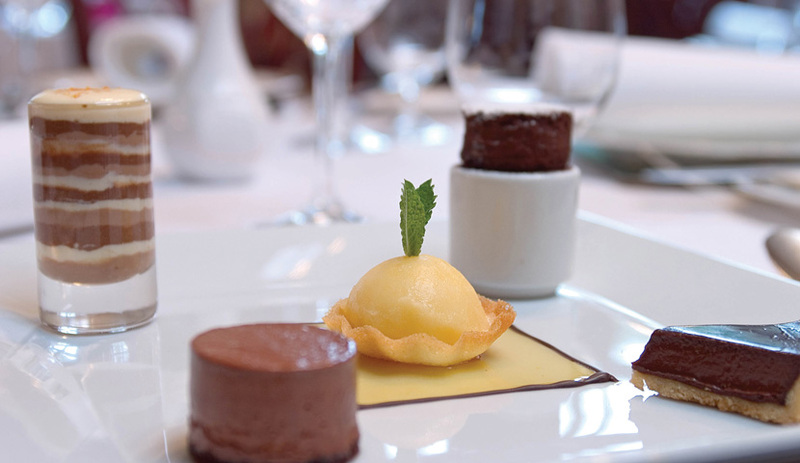 She oversees all events, including our Summer Wine Parties and Weddings. 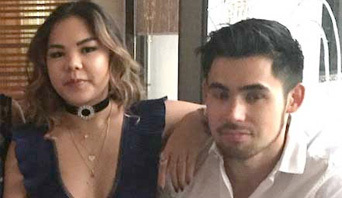 If you are planning a special occasion, Vivienne will have lots of ideas to make your day unique. Charles is a chartered accountant at PwC and studied a Masters in Banking & International Finance at CASS Business School, City University London. Suzanne is a florist at McQueens Flowers in London and trained at Covent Garden Academy of Flowers and McQueens Flower School. 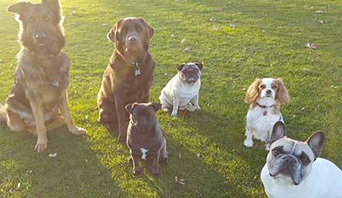 From left to right: Suri, Rufus, Mia, Bobbie, Lola and Ched. 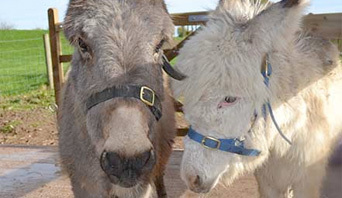 Winston and Archie are recent additions at Hencote and love ear scratches, being brushed and being fed.